Bummed out about needing braces? Invisalign Teen® gives you a whole new way to wear braces for a “clearly” amazing smile! You’ve probably heard from friends that with braces you won’t be able to eat anything. With Invisalign Teen® you can eat whatever you want! Unlike traditional metal braces, your Invisalign Teen® aligners are removable, which means you can go ahead and eat all the things you love without worrying about breaking a bracket or losing a rubber band. Cheers! 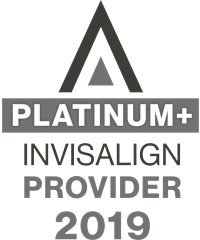 Invisalign aligners are really comfortable and very durable. They fit in with any of your extracurricular activities. So whether you’re swimming the 50-meter backstroke, throwing a football out on the field, or playing the clarinet with the band, you don’t have to worry about your braces getting in the way!